Love that it has room for my arm. Always wake up with arm numb, but this keeps pressure off the arm and the pillow is a great microbead pillow that keeps me cool in the summer. 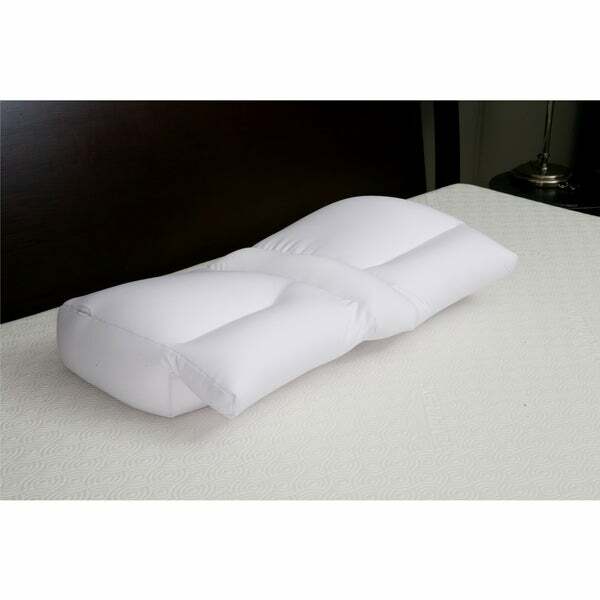 To help you solve the problem of where to put your arm while you sleep, this delightful pillow from Deluxe Comfort features two arm tunnels: one that runs along the bottom of the pillow and another that runs up the middle. The pillow is filled with air-infused microbeads that are designed to mold perfectly to the contours of your head, back, and neck. For your convenience the pillow is machine washable. I sleep on my side and one of my shoulders hurts, so I thought this might alleviate some of the pain. It didn't. I just got this for my mom and she loves it! "Can you use a pillow case with this pillow? Is the pillow washable or is there a washable cover available?" A king sized pillow case would fit this pillow.